A group of female clergy from Iowa wrote a letter this week to publicly state their support of the abortion chain Planned Parenthood. Surely, this is another indicator we are in the “last days”. A great falling away by the church is prophesied, and we are seeing it happening at an exponential rate. They are preaching a doctrine of demons. 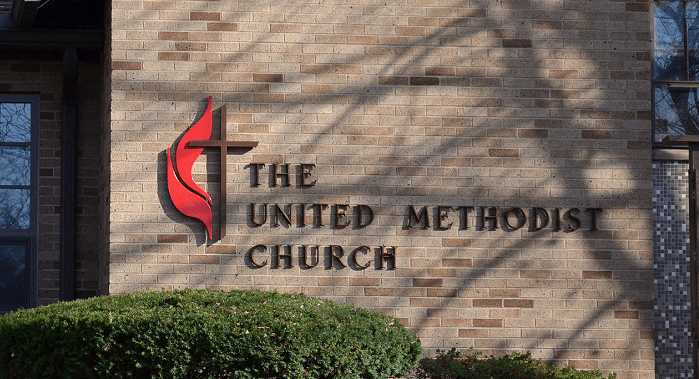 The letter, published in the Des Moines Register on Wednesday, included signatures from seven women pastors from the United Church of Christ, United Methodist Church, Evangelical Lutheran Church of America, Episcopal Church, Unitarian Universalist Association, Christian Church (Disciple of Christ) and Unity Church. A note included with the letter said the pastors were not speaking on behalf of their denominations or congregations. The pastors praised Planned Parenthood’s work and blasted a state bill that would defund the abortion group and redirect tax dollars to community health centres that don’t provide abortions. These women pastors would be aware that Planned Parenthood admitted to making money from selling the body parts of aborted children. Therefore, we have seven women pastors of mainline denominations who obviously have no concern for God’s laws, nor believe His Word, nor fear Him. I am more convinced than ever that Born Again Christians cannot stay in any denominational church that appoints and supports pastors that do not take a stand on the inerrancy of Scripture. Where does your church stand on Key issues such as creation versus evolution and therefore the authority of Genesis 1-11. This is where the foundations are laid for the important doctrines of the Church: The Fall, Sin, Marriage, Judgement of the World at The Flood of Noah, formation of the Nations through confusion of languages at Babel, and finally God established His Nation, Israel. In February, the Iowa Senate passed Senate File 2 to defund Planned Parenthood and other abortion groups in the state. The legislation would direct taxpayer funding to federally qualified health centres that provide more comprehensive health care but not abortions. The bill currently is being considered in the state House. We are deeply committed to social justice, which includes caring for the poor and oppressed. Defunding and shutting down Planned Parenthood would hurt those struggling to get by and those who already face many barriers in accessing health care. As clergy and as women, we know that women are well equipped to make their own health care decisions. We also believe that this bill is a matter of legislating inequality and will deny low-income women access to quality family planning services. Their letter makes a number of assumptions that are not true, one being that the pro-life position is entirely a religious one. While Christians make up a large part of the movement, there also are quite a few secular pro-lifers. Also, no mention is made of the rights of the child who by God is considered a person from conception. Data also does not back up their claim that women will lose access to health care if Planned Parenthood is defunded. Women can find much more comprehensive health care at community health clinics. The non-abortion services that Planned Parenthood provides are very limited. For example, Planned Parenthoods do not provide mammograms and very few provide prenatal care; and those that provide ultrasounds appear to do so only for abortion purposes. Data from the abortion group’s own reports show a growing focus on abortions and a continuous decrease in its non-abortion services. From 2009 to 2014, “cancer screenings” dropped from 1,830,811 to just 682,208. “Breast exams/breast care” fell by more than half, from 830,312 in 2009 to 363,803 in 2014 and Pap smear tests dropped nearly two-thirds, from 904,820 to 271,539. In that same time period, Planned Parenthood’s abortion numbers remained steady, hovering around 320,000 per year. Iowa is one of a number of states that are moving to defund the abortion group. Last week, Republicans in U.S. Congress released the American Health Care Act. Their plan to repeal Obamacare includes provisions that would revoke funding for Planned Parenthood. A provision in the bill prohibits states from using “direct spending” on “prohibited entities” with federal funds allocated from the legislation; and those entities include any entity that “provides for abortions.” That means the nation’s biggest abortion corporation — Planned Parenthood. President Donald Trump recently offered Planned Parenthood a deal that would have allowed it to keep receiving tax money if it stopped doing abortions. Planned Parenthood refused.